Nous recherchons pour finalisé le projet des moddeur 3D si vous ètes interessé contacter nous sur le site endurance-rfactor.fr sur le forum section "projet lausitz"
When is this ready to download?? What is with the Track??? Download??? I've seen that this course has this extra configuration that uses this high-speed stage. Eurospeedway Lausitz has a great road course that I've usually seen DTM race on. 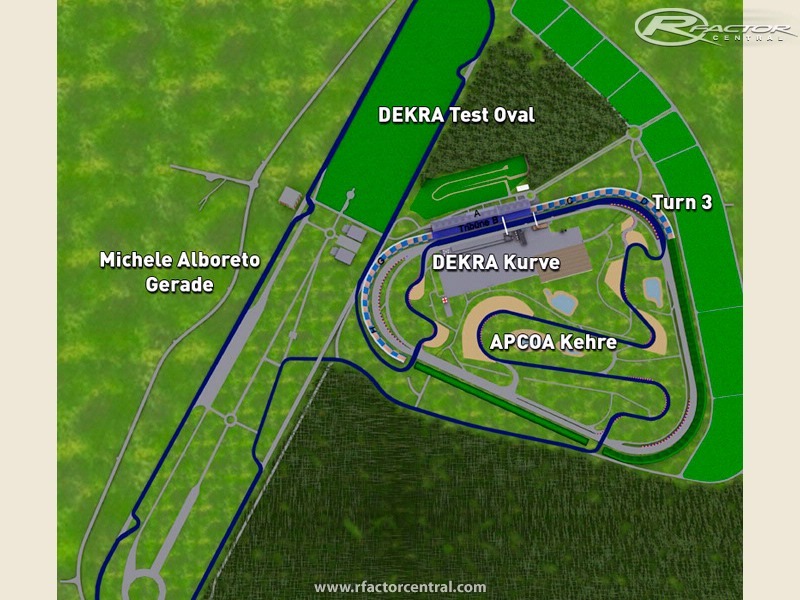 So to introduce this layout to the rFactor world would offer a new and possibly intriguing racing experience. thank you for your support, indeed we may need your help! I used to work for the track up to 2003. I still know some people there, so if you need any official support from the EuroSpeedway let me know and I will try my best. Please keep on your work on the Langstrecke it is a very challenging circuit. 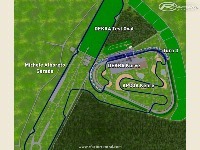 You will add most or all the possible layouts like tri-oval, sprint, GP Dekra test track? But we have much beta tester ! I LOOOOOVE this track ! Hope you have luck with it !